Peach-Faced Lovebird Personality, Food & Care – Pet Birds by Lafeber Co. The popular peach-faced lovebird exudes a big personality in a small body. Peach faces love their playtime and positive interaction with their people. A peach-faced lovebird has a “busy beak” and might be inclined to tear up strips of paper and weave them in the cage bars. As popular as they are cute, peach-faced lovebirds owe their “animal magnetism” as much to their clown-like personalities and stunning plumage as to their tendency to breed like bunnies. 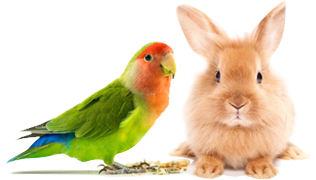 They are wonderful pets, in pairs or as a single bird, brightening any home with pleasant chattering and entertaining antics. The peach-faced lovebird is approximately 6 inches long, and comes in an artist’s palate array of colors. The nominate, or “normal” bird, is green with a shiny blue rump and rosy-peach face-hence the name. Other colors, or “mutations,” range from creamy white to almost black, and everything in between-all shades of green, blue, yellow, violet, and pied-with different colored faces to match! The peach-faced lovebird is native to Africa mainland. Peach-faced lovebirds live about 12 to 15 years or more if well cared for. They are prone to nutritional disorders, so be sure to offer a highly nutritious diet, including fruits and vegetables. Since the females will lay eggs, even without a male around, there is the danger of calcium deficiency or egg binding. Talk to your veterinarian if you notice any signs of lethargy or unusual behavior. Nutri-Berries, Avi-Cakes, Premium Daily Diet and other parrot foods from Lafeber all provide balanced nutrition. The shape, textures, and ingredients in Nutri-Berries and Avi-Cakes encourage increased interaction with food, which results in nutritious foraging. The peach-faced lovebird is perfect for the apartment dweller who wants a “big parrot in a little bird’s body.” However, Peachies love to flock, so the homeowner with space for an aviary will do well with more than one pair, though they will bicker and fight if crowded. Lovebirds are attention seekers, so be aware that you will have to spend quality time every day with your bird. Housing for these active birds should be as large as your space and your budget can afford-the smaller the cage, the more out-of-cage time your lovebird will need. Always alert and mischievous, the peach-faced lovebird is a good escape artist and is always energetic and ready to play. If kept in pairs, these birds tend to love the “married life,” to the possible exclusion of the owner. If kept alone and given frequent attention, the peach-faced lovebird is as loving as the family lap dog. If neglected, even for a few weeks, many lovebirds tend to revert and become snappish. During breeding season, female peach-faced lovebirds might chew strips of paper and tuck them into the feathers on their back as a way of transporting them to a perceived nest site. The peach face is not a terribly noisy bird, but is prone to bouts of chattering and whistling in the morning, evening, and when excited. Talking ability is slim, though there are reports of talking lovebirds — perhaps one in one thousand. They will learn to whistle well, however. Lovebirds are susceptible to chlamydiosis, self-mutilation as well as nutritional deficiencies related to an inadequate diet, especially if fed a mostly seed diet. Peach-faced lovebirds are easily found in pet stores and range in price from $25 for a normal green, to $200 or more for a rarer mutation, which you will probably have to buy from a breeder. Temperament differences are minimal among the mutations, though the males and the females can often act like two separate species. The males tend to be smaller and thinner, while the females can often be noticeably stouter. Males are generally sweet and reserved while females are spunkier, tend to nip, and can be argumentative. Breeding peach-faced lovebirds is fairly easy, even for the beginner. However, they breed so frequently and with such verve, there is a veritable population explosion, with many breeders unable to place the babies. If you breed your bird, realize that he or she may lose the qualities that you wanted in a pet. Pet Peachies are true companions if you have the time to share, and will quickly become an enchanting addition to your host of feathered friends.